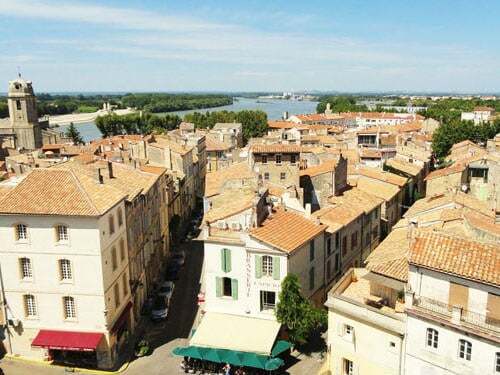 Arles developed at the fork, where the river Rhône splits in order to form the gigantic delta known as Camargue. 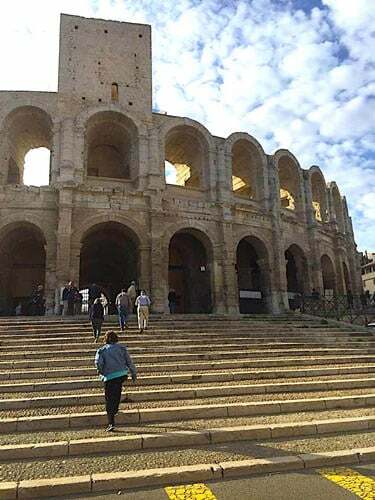 Arles is not only one of the most attractive in Provence, a city with a rich historical and archaeological heritage, but it's also the 'city of Van Gogh'. Van Gogh indeed deserted Paris for Provence in February 1888. Based in Arles, he painted some 300 paintings which included Le Café de Nuit, l'Arlésienne and La Maison Jaune to name a few. He eventually took himself to the asylum in St-Paul-de-Vence in 1889. However, the city seems to have been a strong source of inspiration. Paul Gauguin indeed immediately fell in love with the the region's fabulous landscapes and light when he visited his old friend. He produced some of his best paintings while sojourning in Arles. 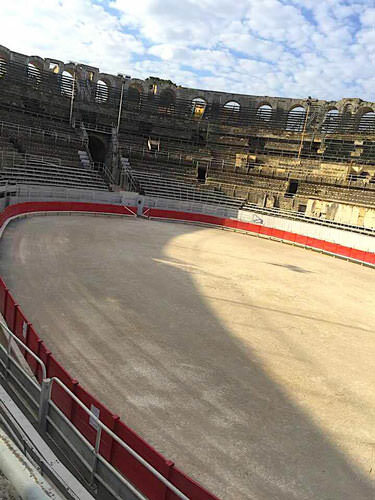 Arles boasts a unique historical and architectural heritage, as its foundation goes back to the 7th century BC. It was indeed a major Phoenician trading port, which the Romans developed during the 2nd and 1st centuries BC. One of the various improvement works they conducted was the digging of the canal that linked the city to the Mediterranean. Arelate, as it was then known, was a major port of the Gallia Narbonensis province. 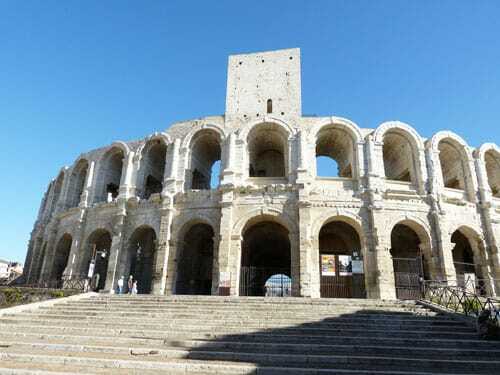 The walled city stretched over 400,000m2 and had its own amphitheatre, theatre, triumphal arch and arena. Amazingly, most of these monuments are still standing. 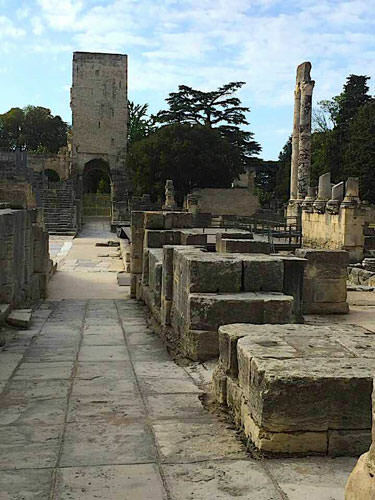 The baths were built when the city was at its peak in the 4th/5th centuries AD. They were fed with water carried on the Barbegal aqueduct and mill. 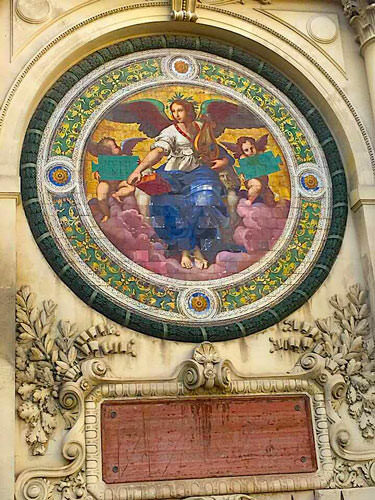 Their imposing vestiges can be seen in the nearby commune of Fontvielle. 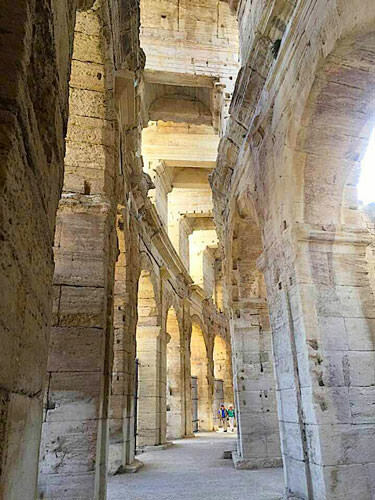 A feat of Roman engineering, the aqueduct and its mill are considered 'the greatest known concentration of mechanical power in the Ancient World'. 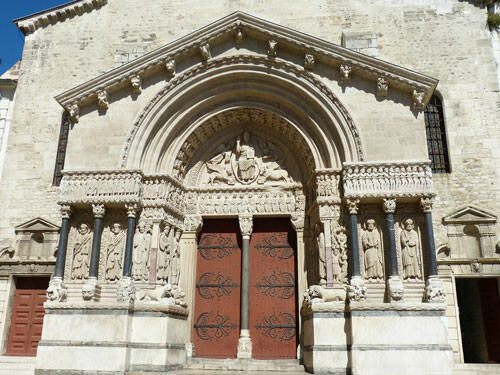 Modern day Arles boasts a wealth of picturesque streets bordered with elegant 17th century mansions and modern museums. 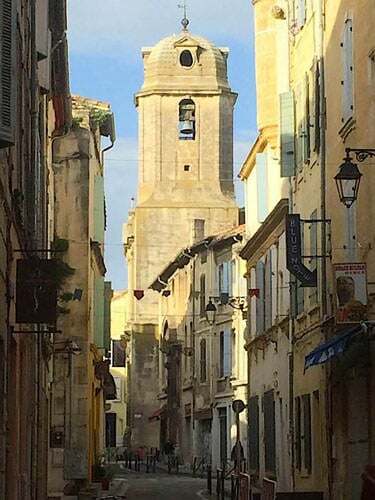 UNESCO listed Arles as World Heritage Site in 1981.